Former Arunachal Pradesh Chief Minister, Nabam Tuki. Image: Northeast Now. Former Arunachal Pradesh chief minister and Congress legislator Nabam Tuki has appealed to the Prime Minister Narendra Modi to reconsider the decision taken by his government to enact the Citizenship (Amendment) Bill, 2016, taking into account the greater interest of the indigenous citizens of the country, particularly those of north eastern states. Expressing his strong opposition to the Bill, Tuki in a letter addressed to PM Modi said that the developments taking place in the Northeastern states after the Bill was passed in Lok Sabha on January 8 was a matter of serious concern. “The Union government should have been more sensitive to the people of Northeastern states due to their separate origin, identity, nature, culture and demography,” Tuki said in his letter. 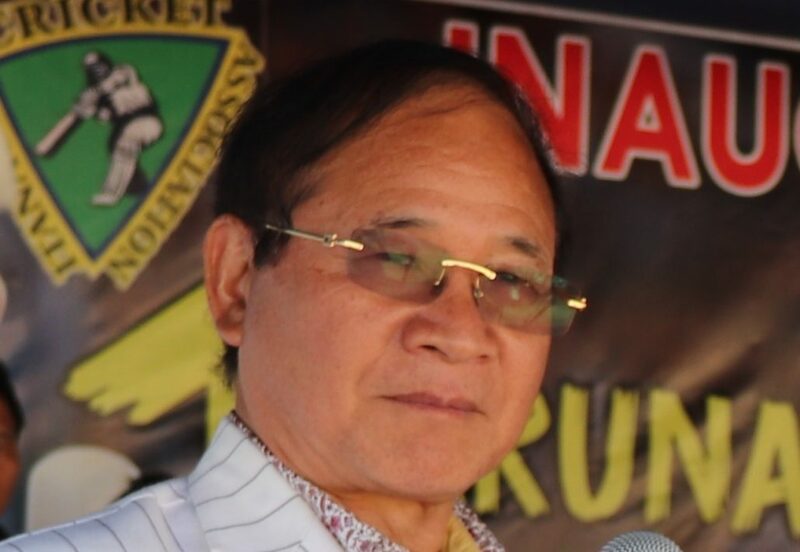 The former hief minister further said that the government which is supposed to preserve, protect and safeguard the uniqueness and characteristics of the protected tribes of Arunachal Pradesh and other Northeastern states should understand the consequences and the social, cultural and demographic imbalances which will be detrimental to the existence of the entire region. “Arunachal Pradesh has already faced the unfortunate issue of settlement of Chakma-Hajong refugees which has created large scale dissatisfaction and cultural problems in the state. Therefore, I earnestly urge you (Modi) reconsider the decision taken by your government,” Tuki said. Meanwhile, Tuki has also called upon Chief Minister Pema Khandu to take a strong decision against the Citizenship Bill and register his protest before the Centre for its immediate withdrawal. The Bill, which intends to amend the Citizenship Act, 1955 and provide citizenship to those illegal migrants — mainly Hindus, Sikhs, Buddhists, Jain, Parsi or Christians — who have faced religious persecution in Pakistan, Afghanistan and Bangladesh is yet to get a Rajya Sabha.